The folks behind Illinois Observer have begun to roll out their endorsements for the State House and State Senate. In some of the endorsements, they mention that they did this last cycle, but we, frankly, don't recall those. Anyway, the first race they lead off with is a Republican Primary. Dennis Reboletti vs. Chris Nybo for the 24th State Senate District. Nybo ran for this same seat last time around, but was defeated by Senator Kirk Dillard. Since Senator Dillard took on his run for Governor, the seat was vacated. In this race, the Observer picked Reboletti. 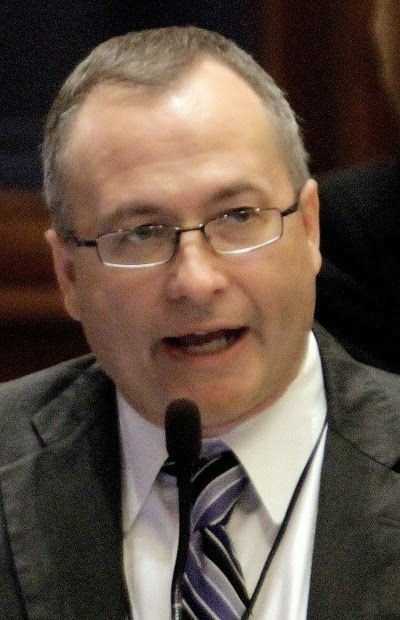 Reboletti ... is well respected by his legislative colleagues, is known in Springfield as a team player and as a lawmaker who can get things done. He is someone who is unafraid to reach across aisle to seek compromise. Can't help us wonder if *we* (the royal 'we' who sit on the 'editorial board' of the Truth Team) should be doing our own endorsements?